The Modena Double Wall Teapot is the perfect way to create and serve your special brews. 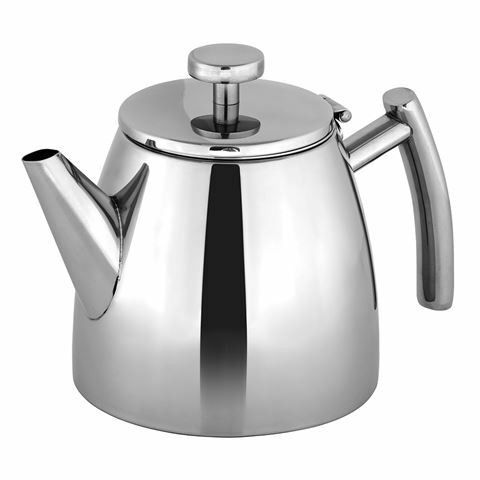 Crafted from the highest quality 18/8 stainless steel, this teapot features heat-retentive double walling that means your tea stays hotter for longer. The pot includes a removable laser-etched infuser which sits perfectly in the centre of the teapot, ensuring loose tea is infused from all angles and leaves you with fuller flavoured tea. Crafted from high-quality 18/8 stainless steel. Heat-retentive double walling ensures your tea stays hotter for longer. Presented in an Avanti box.